Wigan Athletic produced their best performance of the season as they upset the odds and defeated Championship leaders Derby County on their own patch. Going into the game the Rams had not been beaten in 12 matches and Latics had not won in eight games but two goals by substitute James McClean ensured Wigan got their just rewards for an energetic team effort. Wigan should have gone ahead when they were awarded a penalty just before half-time but Jack Butland saved James Tavernier’s penalty. To rub salt into the wound the Rams took the lead against the run of play when John Eustace turned in Johnny Russell’s free-kick from close range. Many teams would have crumbled after the setback but Latics stuck to their game plan and secured what could be a season defining victory. Prior to kick off Uwe Rösler made changes to his last starting line up with Rob Kiernan coming in for the injured Ivan Ramis. Emyr Huws and Don Cowie returned and Roger Espinoza made his first start of the season. Leon Barnett wore the Captain’s armband for the first time as a Wigan Athletic player. Wigan pressed Derby from the outset denying them space and time and keeping possession for long periods. They limited the Rams to very few chances. The home team’s best chance came when Johnny Russell found space on the right but his shot was a foot wide of Scott Carson’s right hand post. At the other end, Huws forced Butland into an early save and the Rams on-loan keeper had to be at his best to deny a McManaman drive. McManaman also had a shout for a penalty after seemingly being brought down in the area but referee Robert Madly booked the winger for simulation. Just before half time the match seemingly turned in Derby’s favour. Eustace was penalised for handball inside the box, but Butland rescued the Rams, by saving Tavernier’s spot-kick, and the midfielder Eustace gave his team the lead by tapping home following a free-kick. Latics players looked stunned after playing so well and then conceding a goal. Uwe Rösler’s half time teamtalk would be critical if Wigan were to respond positively to the setback. Derby manager Steve McClaren was clearly not happy with his team’s first half performance despite being ahead and made two half time substitutions. Jeff Hendrick for Will Hughes and Simon Dawkins for Jordan Ibe. Dawkins might have added a second for Derby early in the second period but his shot narrowly missed the target, then Hendricks had a shot from the edge of the area well saved by Scott Carson. 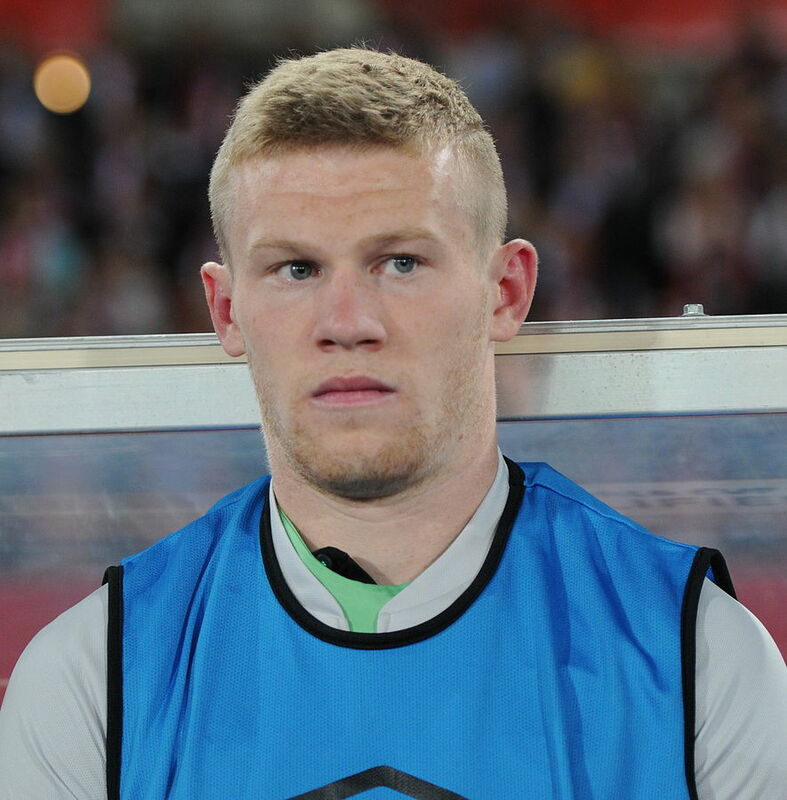 James McClean then replaced the injured McManaman on the hour mark and started to cause problems for the Rams back line. McClean drew Latics level on 68 minutes following good work by Cowie and Espinoza. The Honduran midfielder pulled the ball back for the onrushing McClean who got between two defenders and fired home from near the penalty spot. The ascendancy was with Latics now and their confidence visibly grew. Substitute Shaun Maloney replaced Huws with fifteen minutes remaining and the Scot’s free-kick almost led to a second goal when McClean’s backwards header almost deceived Butland but the ball went just over the crossbar. Tavernier burst into the box and fired just wide of the far post as Latics looked the most likely to take the lead. Wigan got their just rewards on 83 minutes; Adam Forshaw’s shot was parried by Butland, Fortune followed up and in the ensuing scramble McClean forced the ball home. Chris Martin fired a late free-kick just wide of Carson’s goal, but anything other than a Wigan victory would have been an injustice. This was a thoroughly deserved victory for a team playing the type of high tempo pressing football that Rösler would like to play every week. The players worked tirelessly throughout, and although it might be unfair to single out individuals in such a great team performance, Marc-Antoine Fortune, James McClean, Emyr Huws and Don Cowie had their best games in Latics colours. If Wigan can maintain this level of performance they will rise up the table in what is a very tight division. Although they sit in 19th spot in the table they are only eight points away from the play-off zone. This entry was posted in Championship, Derby County, James McClean, John Eustace, Steve McClaren, Wigan Athletic and tagged Championship, Derby County, James McClean, John Eustace, Steve McClaren, Uwe Rösler, Wigan Athletic. Bookmark the permalink. Good to get that winning feeling back again, with a good performance to go with it. Let’s hope we can carry on playing the attractive passing game that has given us so much success in the past. Figueroa and Huws are two players that add that extra bit of quality and a strong performance by Fortune really made a difference going forward. Let’s hope the confidence is back now so we can push on. Great vocal support from the empty seats too! That Richard Keogh is an absolute village idiot, and a bad loser. Well done to the lads and Uwe. This is where we turned it around last season so lets crack on.